The U17 boys have demonstrated a commitment to being smarter players and a smarter team. This team has been a good experience so far. Every game the boys are meshing into a more cohesive unit. Every player has shown their own creativity, individually and in small groups and that is something you never want to program out of them. Player with ball always having a forward, lateral and backward option. On the defensive side of the ball, they are showing a lot of patience in the right parts of the field. This was a problem earlier in the season. We now concede very few crosses from poor 1v1 defending out wide. Our opponents rarely get a successful, first time direct pass out of their end because our strikers are goal side of the ball, one supporting the other. More importantly, defensively, I hear the boys talking themselves into their shape. When our strikers are flat and beside each other or a player is being challenged in different parts of the field teammates are giving the right information to help make things work. Our intention was never to make the kids robots. Here's the thing ... if the players are systematically organized and understand what they are doing, they put themselves in a better position when it comes time to take that gamble and be creative. We have some creative players who have great ideas and those ideas break games open. We just want to make sure we are ready to defend or relaunch if those ideas don't work. If the boys continue to buy into the message, we will continue adding on to what we've built to this point. Every coach should make periodic visits back to grassroots soccer. This week I lived it. Working with those kids makes me a better coach, of this I have no doubt. For the last 24 years, a majority of my coaching has been at the district, travel and college level. But, for me, getting back to grassroots is always re-energizing and meaningful. This past week I worked our club's annual camp with Coaches Rob and Gerry. Youth Assistant Coach Cara from our u14 girls team was also on hand. We had 42 players from ages 5-8, boys and girls and the camp ran from Monday to Friday, 9am-noon. Working with grassroots players at the youngest age groups re-aligns your coaching methods and gets you right back to basics. You cannot make assumptions on what the players already know and your tone of voice, coaching style and choice of words have to be bang on and suitable for the age group. Physical literacy and familiarity with the ball was the order of the week with the camp. One player. One ball. Show them something. Everyday we ran 30 minutes of different movements with their bodies with and without the ball, then broke off into stations that offered more movements and situations to put their new skills to work. The kids give you a harsh reminder of what they want and what keeps them coming back. A nickname. A free ball and shirt. Fun. Juice breaks. They didn't even realize they were playing a LOT of soccer. The length of the get together was not in line with LTPD, but the content was and matched the age group. It was a camp and I am not sure where LTPD and camps find common ground. "Working with grassroots players at the youngest age groups re-aligns your coaching methods and gets you right back to basics." On Saturday, I went to run my friend's session in Niagara Falls and was surrounded by the buzz of younger age house league soccer at Niagara United SC. 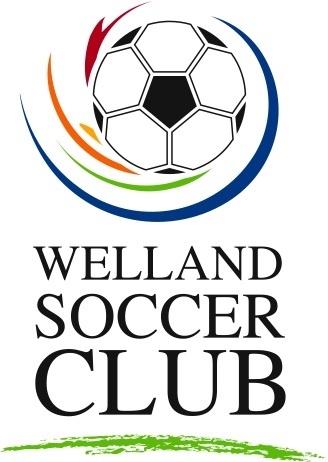 This afternoon I took my son to officiate the Welland Soccer Club's annual house league festival and found myself walking around watching the U5-U6 kids from our camp playing. The look on their faces when they are playing in priceless. Excitement and nervousness all bundled up in a little kit. The games were exciting and the parents and coaches were positive with all of the players. My wife tells everybody that I love Saturday mornings. How can you not? The BS and intensity of competitive level sports disappears and it boils down to the players and the ball. There is an electricity in the air at Saturday morning house league. Every player comes with parents and siblings, umbrella, chairs and cooler. You can't find a parking spot and the traffic on the street is jammed. I make the occasional visit to grassroots soccer, as a coach, but this week I was immersed in it and came out a better coach. Tonight, I was hoping we would have our game where the ship turned into less turbulent water. We travelled to West Hamilton after having 2 solid sessions this week. We lost 5-2 and spent a lot of time in their end. They missed a lot of shots and we missed 2 penalty kicks, so it would not be fair to say "it would have been 5-4". On a positive side, more players demonstrated a willingness and ability to be creative with the ball. I was happy with that and so was Coach Paul. And we were very competitive once in the opponent's penalty area. That is something we directly addressed at training this week. On a negative side, our inability/reluctance to get physical is causing us more problems. In terms of denying shots and forward progress, we are still being impatient and over-committing while defending, as a team and individually. We are giving up a lot of open shots and unforced passes because of poor 1v1 defending, front to back. In terms of possession, our boys are panicking when they know they will have to fight to maintain possession, causing some rushed/errant passing. As for me, I stayed seated for most of the game, for once. I enjoyed the game more and saw a lot more than usual. I told Coach Paul last week I was sitting tonight. This is the first team where I've spent a lot of time standing and yakking during games. Not sure why, but I need to end that game-time strategy. Coach Paul and I will continue to work to be positive and encouraging and help the boys find more game time comfort. When I say "work", that's an admission that it is easy to become frustrated at times. The boys give each other what they have. Our job is to help them discover they have more to give, they just need to find it. Our last two sessions were probably our most productive back-to-back get-togethers since we started the season. Our Monday and Tuesday sessions served to get our boys as many positive touches on the ball as possible and a lot of competition. We've yet to win in our league and I wanted them going into Thursday with as much confidence as possible. Without getting technical, we ran fitness, passing, 1v1 defending and attacking and one-ball-per-player dribbling sequences. All geared for success, confidence and improvement. The message was patience and timing were the keys to success here. If you held them up long enough in a game, help would/should be arriving after a few seconds to even the numbers. I have to say driving home from both sessions I had that good feeling I was looking for. Teaching new ideas was part of the plan, but the focus was to simply build some confidence, create a good feeling among the boys and work WITH them to approach Thursday's game with the same enthusiasm and confidence they show at training. Was it a logically sequenced training session all dealing with the same topic? No. But for what Coach Paul and I wanted to see, we got what we wanted. The boys kept working, there was no need to any disciplinary barking and they seemed to enjoy what we were doing and how it ended both times. Our U17 boys have been making good progress, in the league table and learning more about soccer. Right now our u17 boys sit at the top of the league table after a strong 1-0 win over the team they were tied with. But, more importantly, we are equipping these boys with more information and preparing them for soccer after their youth careers are over. I would have to venture a guess that some will start playing in various men's leagues next year and all will assume leadership roles at their respective high school programs during their grade 12 year. This morning at training we worked on the near and far shape, as well as body position, in setting up to play forward. Last week we worked on overall shape and more specifically the functions of our 2 strikers. During our last game we sort of "over coached" our 2 strikers and wide midfielders in our 4-4-2. Every week we try to inject more information to make our boys just as smart as they are aggressive and competitive. On a technical level, they are not all strong and we keep doing drills and exercises to bring out what we can. At U17 we are charged with the dual responsibility of team success and ensuring all the boys are encouraged to play past their youth programs. We will see what the next few months bring. They all show enthusiasm to learn more and that helps. Not all are always comfortable adapting to new ideas, but they all seem to be trusting of their coaches and give themselves to what we are trying to accomplish.